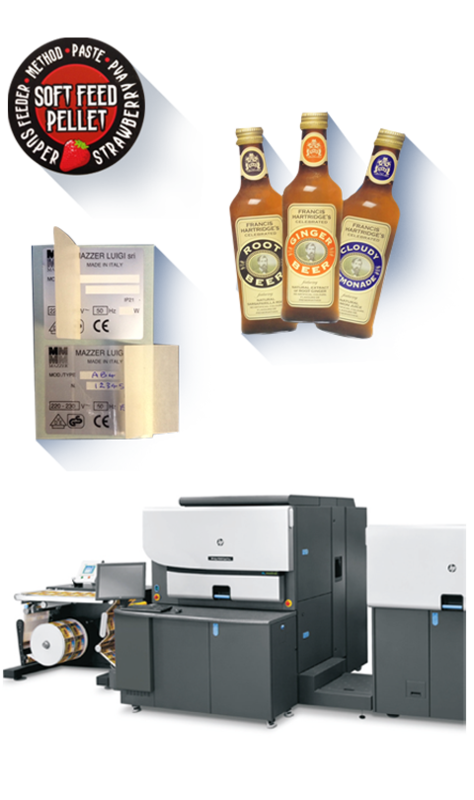 Apex Labels, provide a specialist range of self adhesive labels for a wide variety of applications and industries. We have been satisfying your labeling needs since 1980. We routinely deliver to customers within and outside of the United Kingdom. We do our best to meet all your requirements and virtually any size or shape of label can be made including ovals, circles and triangles. You may supply artwork to us for your custom label but it must be in a print ready format. Please use our printed labels quote form to submit your requirements and one of our friendly staff will promptly get back to you. Our reputation for product quality and reliability is second to none no matter what quantity of labels you require. We use state of the art machinery to produce a a high quality four colour process suitable for a wide range of industries including; cosmetics, toiletries, media and food. With a high commitment to customer service and satisfaction the team at Apex Labels pride themselves in 'going that extra mile' to ensure that your experience with them is both enjoyable and stress free.